A custom case so light, it feels like your phone's wearing nothing at all! 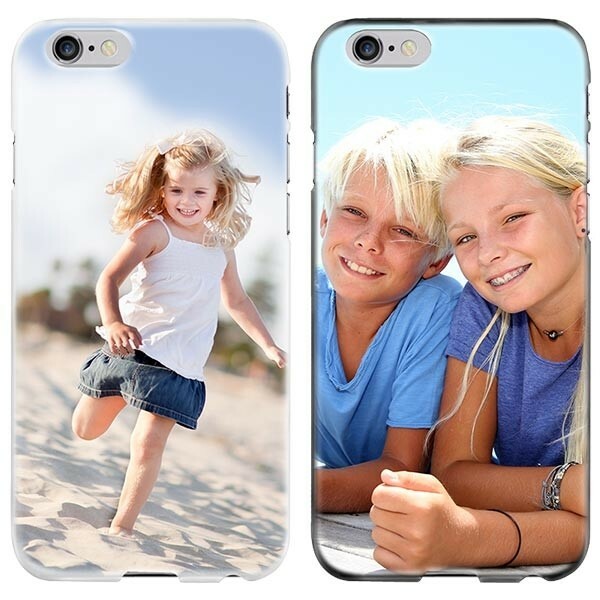 Choose your favorite photo or design to be craftily printed on the back. 3 case color choices - black, white or transparent. A gorgeous, seamless and lightweight case! These ultra light, ultra thin cases are designed to protect your phone while maintaining the slime design of your iPhone 6 or 6S PLUS. The phone itself is not the smallest around and most people don't want to add a bulky phone case. The ultra-light cases from GoCustomized are also fully customizable. GoCustomized has tried to find the perfect combination of slim and sturdy. The ultra-light cases from GoCustomized are thing but offer a decent level of protection against scratches and dents. This is case is of course no match for our iPhone 6 PLUS Tough case, but it does ikeep your pockets empty. As said earlier, your case is completely customizable. You can use any one of your favorite photos, patterns and pre-made designs. Looking for a little more functionality in your case? Check out our custom iPhone 6 PLUS wallet cases! To design your own iPhone 6 or 6S PLUS phone case, you simply start by uploading one of your favorite pictures to our design module. You can do so by uploading image files straight from your computer, tablet or smartphone. In addition, you can use Facebook and Instagram. Reshape and resize the image as you please. Add a personal quote using our text module. There are loads of fonts and colors to choose from! How do we make your case a reality? Finished with your case? Order away so we can get started making your case. All cases produced by GoCustomized are made with the best materials and use the best ink. We use a special scratch resistant ink which keeps your design looking good for longer. We ensure that your case is on its way to your within 24 hours of purchase!